We use all brands of Roofing Materials for New Roof Installations. Call 1-888-766-3020 for a Free Roofing Materials Quote today! A roof is an essential part of a home and plays a very important role of providing protection and shelter much like the walls. It must be very sturdy, durable, and it has to look good. Roofs can be made up of many different types of materials and designs. Each type of roofing material has different unique characteristics with advantages and disadvantages and can be very useful in certain locations depending on the wind, weather and location. Click here for a Free Roofing Materials Quote or for more information. As with any roof, there are many aspects that influence the final decision in which roofing materials are optimal to use and one of them is cost. In this article, you will see the advantages and disadvantages plus the average costs, as costs may vary in different states, in the use of different materials for roofing. The cost of roofing referred herein this article is subjected to the breakdown of the roofing material per one hundred square feet. Remember, roofing costs may add up with the labor and other materials needed for installation, this refers only to the roofing materials utilized. Here are some of the more basic roofing materials used and the roofing costs to consider per one hundred square feet. The most commonly used roofing material utilized nowadays are asphalt shingles. Asphalt shingles are categorized into two major types: the organic and the non-organic (fiberglass). They are produced in a wide variety of colors and are rated by their lifespan and durability. They can range from between 20 to 40 years. 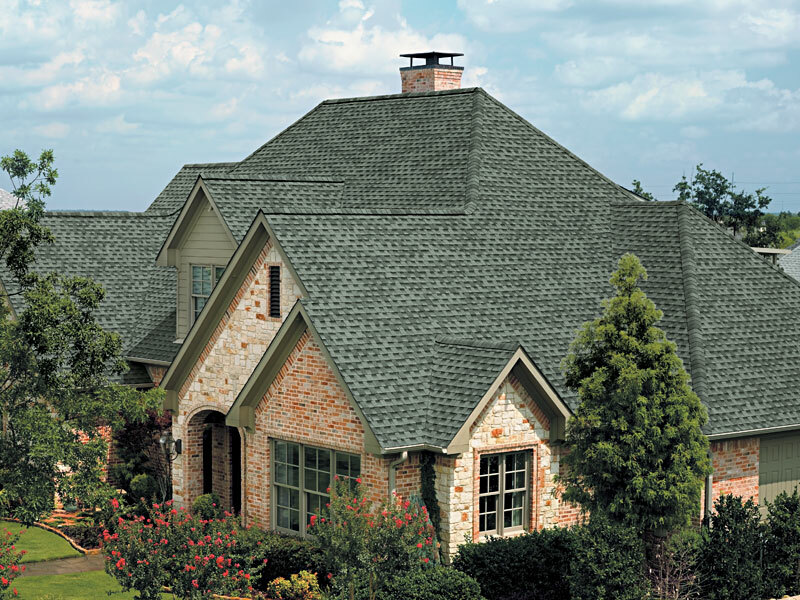 Asphalt shingles can be customized by providing additional layers giving them a different shadow line. Many asphalt shingle manufacturers provide warranty to their products especially if the certified roofers install them. Asphalt shingles may range from 30 to 35 dollars for every hundred square feet. GAF, Tamko, Certainteed, and IKO are leaders in Roofing Materials. Another type of roofing material that takes the form of shingles are those made from wood. Usually, wood shingles are made from Western Red Cedar; the reason behind this is that this kind of wood is highly resistant to decay and corrosion. Wood shingles are categorized into three types: one, two and three. The first type, number one, is more recommended for roofing because they are more durable. The second and third are better for sidings. They are usually sold tapered and in different sizes. Wood shingles roofing cost ranges from 80 to 170 dollars. Another roofing material that utilizes wood from cedar is the wood shakes roofing material. They provide a natural look and are either sawed or hand split. Its distinct look has a side with an irregular unique look from the others while the other side has a natural thinner line for a tapered look. Wood shakes are classified by their weight and sizes. Roofing costs for wood shake range from 70 to 100 dollars for every one hundred square feet. The most durable roofing material is made either from clay or concrete. They can be relied upon to provide service from 50 to 100 years. The most common form is in the half-barrel or somewhat corrugated shape, but it is not uncommon to find flat or tapered styles. But because of their weight, clay or concrete roofing materials may need extra weight in the rafters adding more to the roofing costs which may run between 150 to 400 dollars per a hundred square feet area. GAF now carries a True-Slate product that is real slate and is able to fit on most homes without additional support beams. It is a great option for homeowners looking for a real slate roof without all the extra added costs and headaches. For more information contact New Roof Connecticut at 1-888-766-3020, a professional roofing contracting company. Request a Free Roofing Quote today for more information from New Roof Connecticut’s roofing experts or call 1-888-766-3020. With New Roof Connecticut you get qualified roofing contractors with residential and commercial roof construction experience who are Certified, Licensed, and Insured. We are partnered with many Roofing Material Companies to provide you with a wide selection of materials and designs. Contact us today at 1-888-766-3020 for a free estimate.